VW T5 Trim panels Kombi Van / Door Cards. Condition is Used. All trim panels for T5 van. Specification is for a kombi with tailgate up and over boot door. Included are the sides, roof panels and original fixing clips. Will fit all T5s but not cover the rear passenger windows as they came off a 2014 Kombi passenger van. Panels have wear and tear from use. Can be used as a template for carpeting a van. I have for sale a set of caravelle door card inserts in wood effect. They are unmarked and in good condition. (Fits other T5 and T5.1 Doors, removed from a 2015 T5.1). - VW OEM Part No: 7E2 867 103. Vw transporter t4 switches dash panel centre console 1990 - 2003. 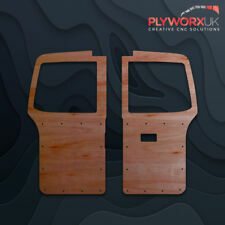 VW T5 TRANSPORTER CUSTOM DOOR CARDS. ORIGINAL DOOR CARDS WHERE OFF A 06 REG T5 BUT WILL FIT OTHER MODELS. BUYER WOULD NEED TO BE SURE OF THE LATTER (NO RETURNS) THEY ARE FOR ELECTRIC WINDOW VERSION BUT MAY NEED SLIGHT MODS TO FACILITATE YOUR PARTICULAR WINDOW CONTROL MODULE, OR COULD BE BLANKED OFF IF MANUAL WINDOW WINDER. THE UPPER SECTION IS COVERED IN VW INCA UPHOLSTERY MATERIAL AND THE LOWER SECTION IS BLACK UPHOLSTERY MATERIAL. THE INNER SECTIONS ARE BLUE CLOTH LINING . PROFESSIONALLY MADE. The swivel base allows you to rotate your double front passenger seat around so you can have it facing tne rear of your van why camping. This then will open up the vans camping layout to the max. To fit simply remove your double seat then fit the swivel to the seat box with the bolts you've just removed. 2 x Full height blank barn door panels. Removed from Passat B5.5 2004.
vw transporter t4 door cards. Condition is Used. Dispatched with Other Courier (3 to 5 days). 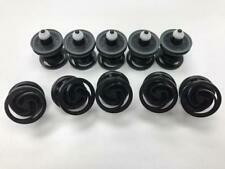 TO FIT ALL VW GOLF Mk2's, 3DR MODELS YEARS 1983 - 92'. 1x VW GOLF MK2 GTI. N/S REAR DOOR CARD WITH. The Generation of VAG Cars between 1982 up to 2004 is what we love and Specialize in most and have a good understanding all models throughout this era. Octavia 1U 2000 - 2004 . This is a new,genuine Skoda part. This is a frontleft / UK passengers side door trim panel for the following cars Part number. MK4 Golf 1998-2006 [1J]. Bora 1999-2005 [1J]. Passat 1999-2005 [3B]. Genuine VW Parts. with Electric Front & Rear Windows. for Right Hand Drive models only. 1 x Tailgate panel. 1 x Sliding door panel. 1 x Lower forward side panel. 2 x Rear seatbelt mount covers. 2 x Rear quarter full height panels. 1 x Sliding door panel. 2 x Rear seatbelt mount covers. 1 x Lower forward side panel. 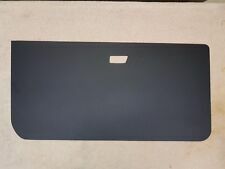 1 x Front Door Card Panel - Lightweight Matt Black ABS. VW GOLF MK 4. Price Includes GT4 Style Door Opener. VW signs cnc cut from ply wood size in photo is to fit rear top transporter doors Other materials available Enquire within ! Thanks for looking! A PAIR OF GENUINE VW TOURAN V2 FRONT DOOR CARDS. PERFECT FOR A VW CADDY UPGRADE. THE DOOR CARDS ARE FITTED WITH ELECTRIC WINDOW SWITCHES FOR THE FRONT WINDOWS ONLY, AGAIN PERFECT FOR THE CADDY. THE DRIVER SIDE DOOR CARD HAS ONE BROKEN CLIP MOUNT AND A SCAG TO THE TOP AS SEEN IN PHOTOS. Pictures show Door Card with Pull Strap Door Closer, also available with Standard Door Handle. 2 x Front Door Cards Panels. See below. also Rear Panels. High Gloss Carbon Effect ABS - Gloss Black ABS - Aluminium - Matt Black ABS - Door Cards. (Fits other T5 and T5.1 Doors, removed from a 2015 T5.1). - VW OEM Part No: 7E0 867 104. - Paint/Glue inside upper pocket (As pictured). NOTE: This can be covered with door inserts/rubber/carpet etc. 1 x Tailgate panel. 1 x Full height forward side panel. 1 x Sliding door panel. 2 x Rear seatbelt mount covers. 1x VW GOLF/JETTA MK2 DRIVER. 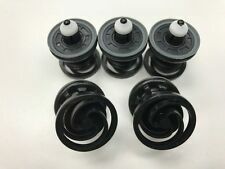 TO FIT ALL VW GOLF/JETTA Mk2's, YEARS 1983 - 92'. N/S FRONT DOOR CARD WITH. The Generation of VAG Cars between 1982 up to 2004 is what we love and Specialize in most and have a good understanding all models throughout this era. Volkswagen VW LUPO. Lightweight Matt Black ABS. Pictures show Door Card with Pull Strap Door Closer, also available with Standard Door Handle. See below. 7M4867011K JWJ. Sharan 2001-2008. Genuine VW Parts. Vehicle: VW. VW Part # VW RRP: £348.87. For Trim Codes 77 and 78. For Right Hand Drive Vehicles Only . 6Q6867211FS UBF. 6Q6 867 211 FS UBF. Genuine VW Parts. Vehicle: VW. VW Part # VW RRP: £215.87. Polo 2002-2010 [9N]. 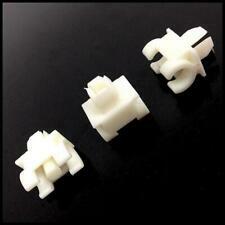 For Trim Codes KD, UB, UD, WV, 28, 29, 36, 38, 06, BQ. GOLF MK5 4 DOOR 2006-09 MODEL YEARS (1K) WITH PR NUMBERS - 4AF 5MA, 5MD, 5MG, 5MJ, 5MN, 5TE. DRIVERS SIDE FRONT FABRIC DOOR CARD TRIM. IN TITANIUM BLACK/ANTHRACITE TRIM - TRS. WITH TRIM CODE - JS. Application is to be used as a guide only. VW GOLF JETTA MK1 HATCH COUPE 2 DOOR BLACK FRONT & REAR DOOR CARDS COVERS GTI. Condition is Used. Here is a set of door cards removed from my mk1 golf gti 1981. Front and rears. In i woukd say very good condition. FOR SALE IS A DRIVERS FRONT DOOR CARD IN BLACK VINYL FROM A MK2 POLO. IF YOU NEED ONE FOR DRIVERS DOOR IT SHOULD BE IDEAL. DOOR POCKET IS INCLUDED. 01728 685027. BEFORE BUYING. Carbon Effect or Gloss Black or Aluminium. 1 x Front Door Card, Door Panel. Pictures show Door Card with Standard Door Handle. Door Cards can be supplied with Full Fitting Kit and. ALL holes machined (no drilling) for £2.50 per door. 5G6867221A BNM. GOLF (MK7) model years 2013 >> 2017. GOLF (MK7.5) model years 2017 >> present. New genuine VW part! REAR DOOR CARD INTERIOR PANEL. To fit theleft hand side (UK passenger side) - REAR DOOR. Part Number:1K4868064 or 1K4868080. Model:Golf MK5 1.4 16V Engine Number BCA Gearbox Code FXQ. Part:Drivers interior door card dark grey 5 door. We will do our best to resolve any problems you may have. With no overhang there is very little material left making it weak. 2 x Full height barn door panels. Full set of VW Corrado door panels. Excellent condition Black Collection only.